Three o’clock on the morning of day four came quickly as my iPhone chimed my wake-up call. It wasn’t a comfortable sleep. None of the last three sleeps had been actually, although the first was the best even without a sleeping pad. Yes, that’s right, no sleeping pad. At the beginning of the trek, while everyone loaded their six kilo allotments into their porter’s duffel bag, I noticed everyone was also given a sleeping pad except for me. Assuming I had again not paid for something I probably should have, I added it to my mental list of challenges this journey would entail. The first night, as the drums beat loudly on the mountainside, I squirmed in my sleeping bag trying to get comfortable against the hard, cool earth. My back ached. In an effort ease the pain, I pulled my down sweater jacket into my sleeping bag and stuffed it between the curve of my lower back and the ground. To ensure the warmest sleep possible, I also wore every other layer I brought, aside from my rain gear, including a toque, scarf, t-shirt, merino wool long-sleeved shirt, fleece, long johns, hiking pants and merino wool socks. It was the most comfortable night out of all three and the second night was the least. The flattened down fill between my body and the cold, rocky earth, provided little insulation at 3800 meters above sea level. As a replacement for the sleeping pad I lacked, I emptied my backpack and lay my sleeping bag on top of it…a little frumpy, but at least it provided a barrier between me and the cold, jagged rocks underneath. If I had questioned the guide on day one as to why I didn’t get a sleeping pad I wouldn’t have endured any of this. During our last Inca family supper together the subject of sleep came up. When I mentioned that I had used my backpack as my sleeping pad the previous night everyone looked at me in surprise and said that sleeping pads were included in the trekking fees. Really? Boy, did I feel dumb. We all had a good laugh about it at my expense and thankfully, an extra sleeping pad was available for my last night’s sleep. That night we all retired to our tents early, partly because of our 3:00 am wake-up call, but also because of the rain. It began coming down in torrents during the last hour of the day’s hike. My wet pants stuck to my thighs and my boots splashed and crunched against the saturated gravel as I walked into camp looking for my tent. 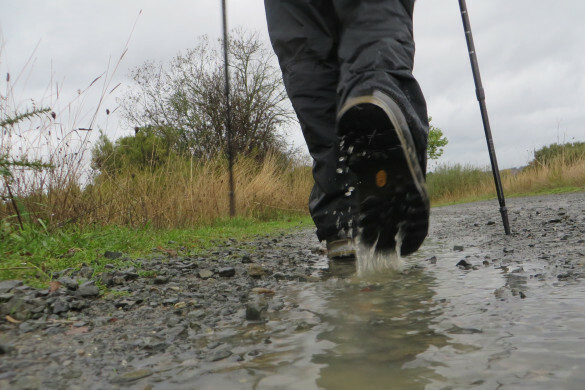 If I wasn’t so tired when the rain started, I would have stopped, taken my trekking boots off, balanced on one foot and then the other to slip my rain pants on, but I didn’t. That just seemed like way too much effort, so I kept walking hoping the rain clouds would dry up, move on or that the llama would cease to spit. That’s how Juan described the process of the rains. Incan legend says that the giant black llama residing in the Milky Way, whose eyes are the bright stars Alpha and Beta Centauri, is responsible for providing the rain to the earth. It says that the llama drinks from the streams and the oceans to prevent flooding, but when the llama becomes full it spits out in the form of rain. 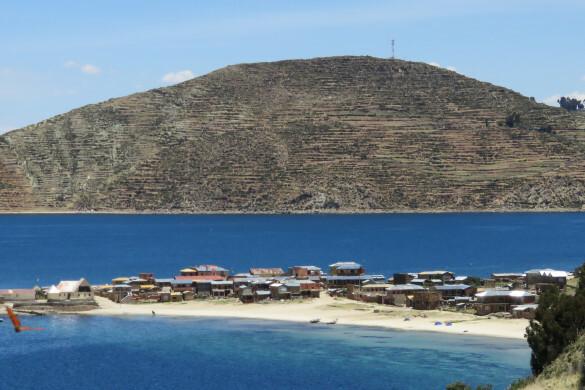 So, I guess I can say the row of tents glistened in llama spit, as I walked along looking for tent number eight, my small single tent. It was the last tent in the row. Quickly, I unzipped it, shoved my backpack through the door, crawled inside and zipped it back up again. 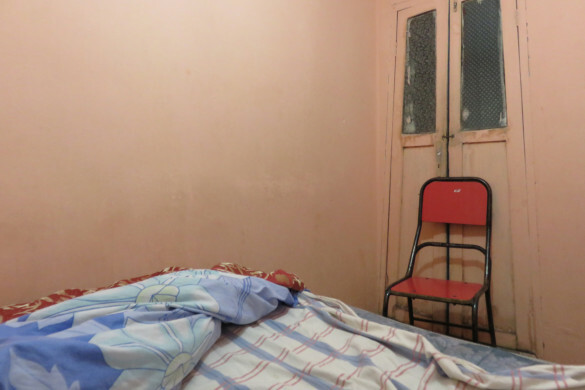 The muffled rain pattered down while I organized my sleeping spot and piled my clothes in one corner. What a relief to peel the soggy trekking pants from my cold, wet legs and pull on some dry jeans. Yaughnet rapped on my tent and mentioned tea would be served in 10 minutes, so I slipped on my rain pants and rain jacket, unzipped the door flap of my tent and crawled out into the wet again. Nobody was outside. I could hear the murmuring of voices in the other tents. Juan spotted me and waved me over to the meal tent. “Come in and sit”, he said and then he left. 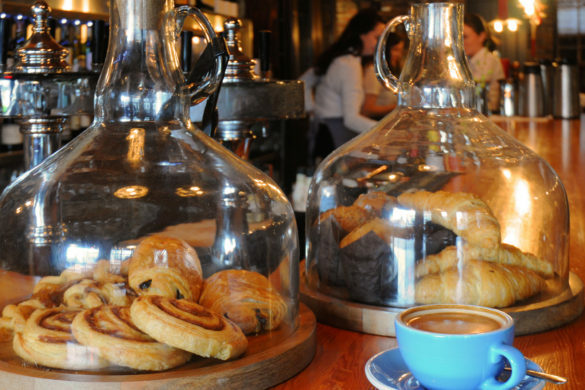 The table was laid out with cookies, pastries and popcorn as well as set with cutlery, small plates and metal tea cups. A porter lit the tall lantern in the middle of the table and another brought over an old, dented metal kettle and filled my cup with hot water. I added some instant coffee, whitener and sugar to it. It was a nice treat after a rainy hike even if it was just instant coffee. Five other porters sat across from me in the tent too. I felt awkward. 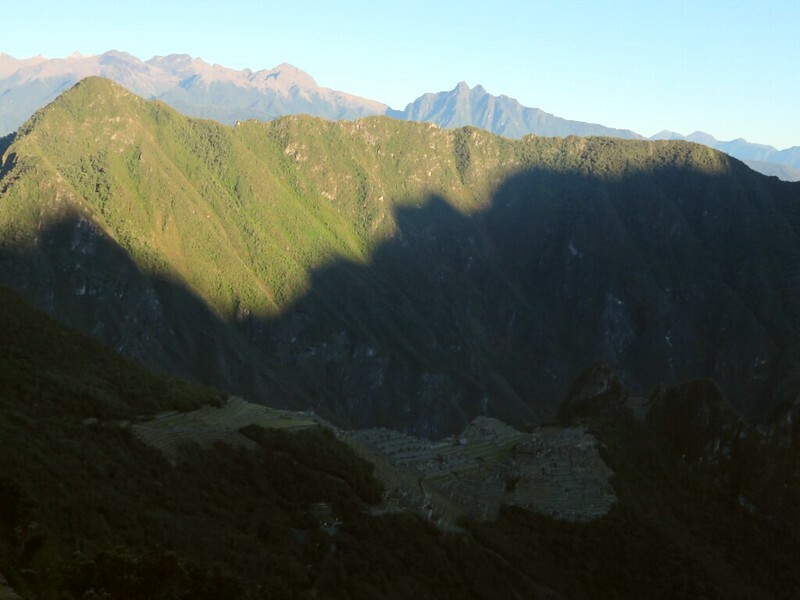 None of my Inca family members were to be seen, but I could hear voices on the other side of the tent wall. ‘Could I be sitting in the wrong tent?’ I wondered. Maybe this was the porter’s tent? Maybe Juan waved me over to briefly pull me out of the rain, but forgot to retrieve me? Nobody said anything for a while, but finally I asked one of the porters, “Como te llama?” He said, “Fernando”, and then a simple, but broken conversation began. We had a sort of English/Spanish lesson in the tent as Fernando held up items asking what it is called in English and then I asked him what it was called in Spanish. A long while later others began to filter in. It turned out that nobody knew to come into the tent. 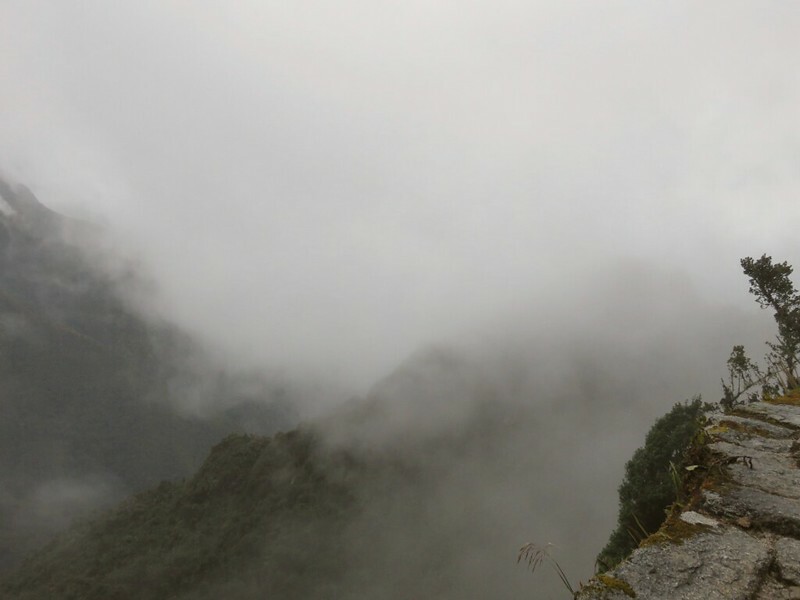 We were meant to have tea with the porters, but somehow the communication was lost. 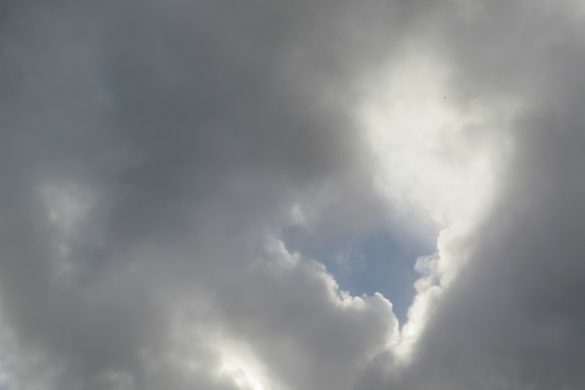 It’s been a constant battle of rain clouds versus the sun during the last days. After the blustery wind and cold rain forced us down from Dead Woman’s Pass two days ago the sun melted away the clouds and swept the valley tundra with gold once again. 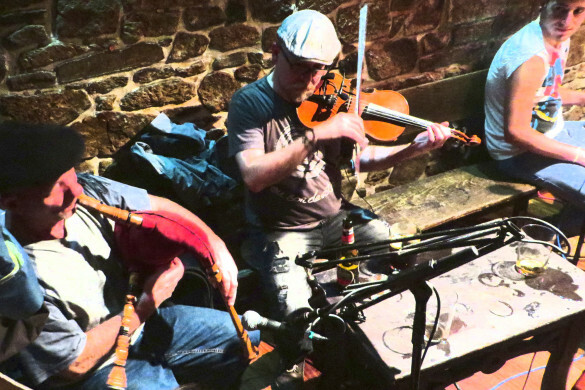 The long grass swayed in the breeze as Ryan, Walter and I descended to camp strategically placing our poles on the ancient paving stones. Thank God for the poles. Descending would prove to be a challenge for some. The clouds in the night sky parted enough to reveal the flickering cosmos, however this time I was too cold to join Pete in his quest to identify other constellations. Instead, I crawled into Ryan and Walter’s tent and added my headlamp, set on red mode, to the blue and white headlamp chandelier already hanging in the centre of the tent along with Ryan’s wet jacket. While the three of us sat with the tent door open to the vast and steep dark valley, a ghostly mist silently drifted in. Someone shone a bright flashlight on the white, brewing wall as it hung eerily before us and then Pete suddenly began projecting shadow creatures on it. His sudden comic relief fueled my overly active imagination and a few of us entertained ideas about haunted things that could be lurking in amongst its depths. 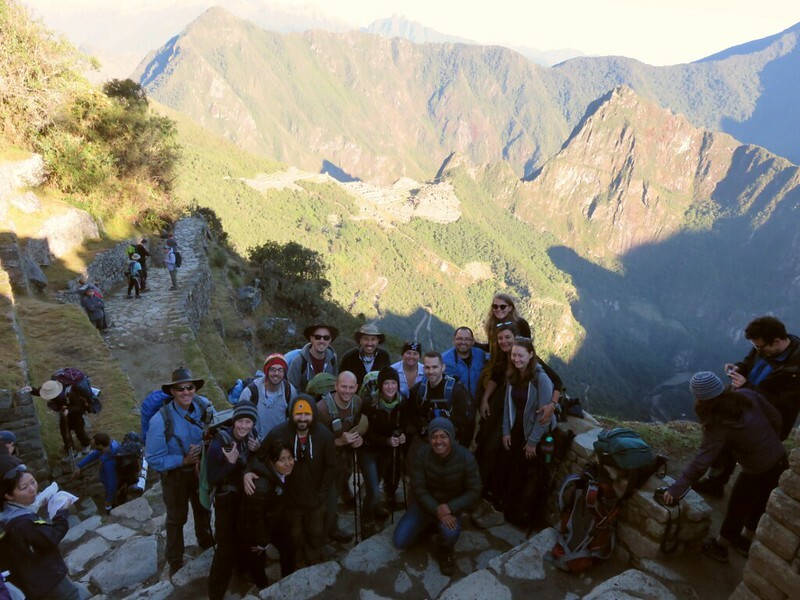 We trekked over the second pass in the morning stopping at times to investigate old Incan ruins and to take part in a ceremony to Pachamama, the earth mother who oversees the fertility of the lands. 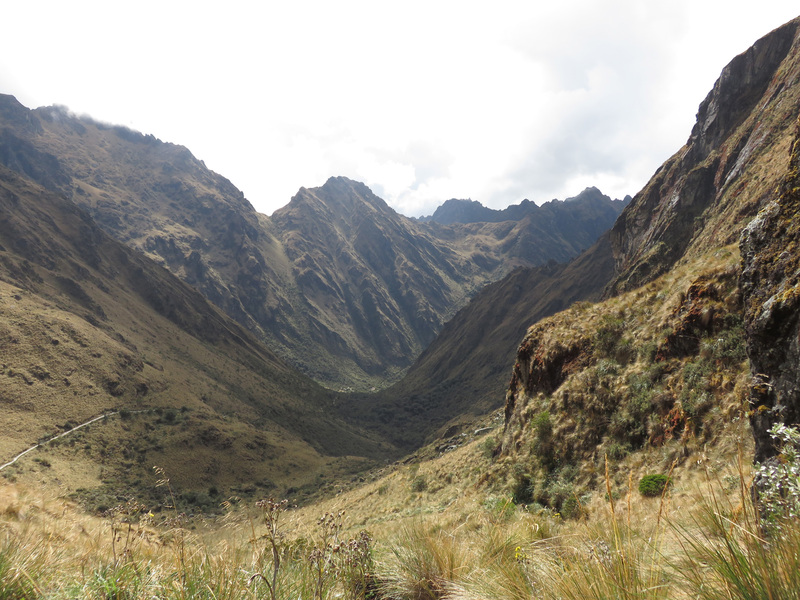 The Incans believed she lay in the shape of a dragon underneath the mountains. Earthquakes were a sign of her restlessness and in ancient times ceremonial offerings, and occasionally animal and human sacrifices, were made to appease the goddess, calm the lands and to ensure a good harvest. 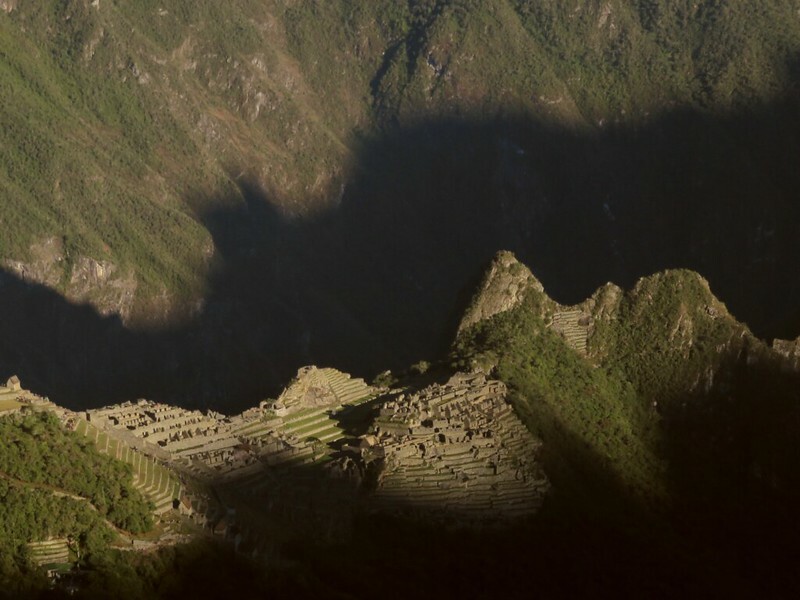 Most of the ancient Incan offerings consisted of coca leaves, food, woven fabrics and prayers; however occasionally, in times of need, such as in the event of an earthquake, eclipse or famine, sacrifices were made. Much of the time llamas were sacrificed, but in desperate or special circumstances a human child would be. For example, to accompany an emperor, who had passed, on his journey to the afterlife. It seems quite harsh doesn’t it? But we see sacrifice even in today’s world. What is war, but human sacrifice on a mass scale? 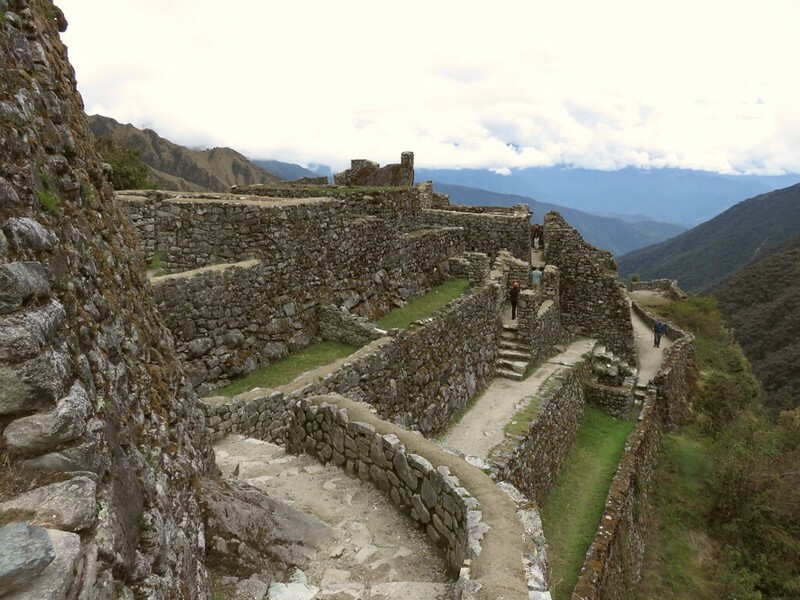 The interesting thing is that just like the men and women who serve their countries in the armed forces are honoured to do so, the ancient Incan families whose children were selected for sacrifice were also honoured. The Incans believed that children were the most pure form of human sacrifice. Children of the most honourable families were chosen as babies ahead of time. The Incan people believed these children would be ensured an abundant afterlife. In preparation for their sacrifice, the child would be dressed in the most beautiful garments, fed the most luxurious meals and given the most superior treatment. When it came time for their sacrificial ceremony they would be killed by a knock on the head, although there are also stories of live burials, or exposure to the elements at the top of a high peak. Thankfully, human sacrifice was not a requirement for our own ceremony to Pachamama. 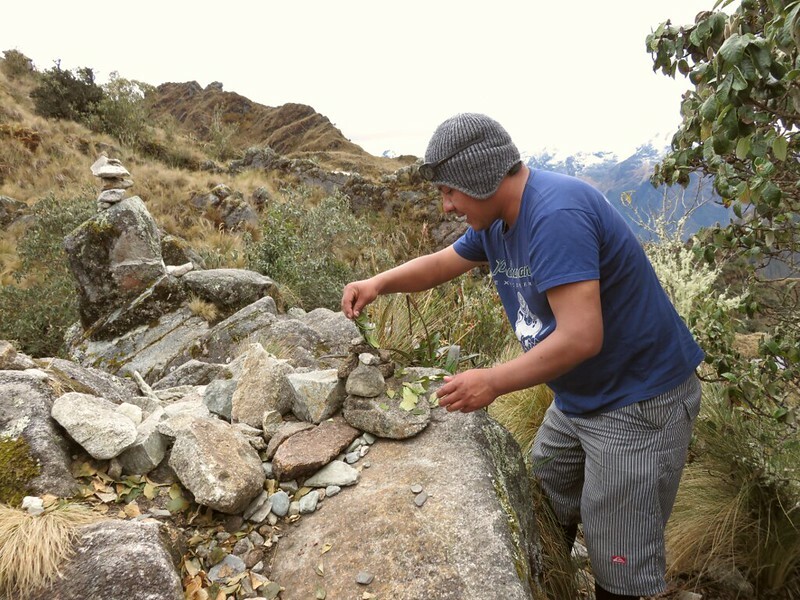 To prepare, Juan told us to collect a rock from alongside the old Incan road. The first rock I spotted off to the side in amongst the golden tundra, was a triangular one. 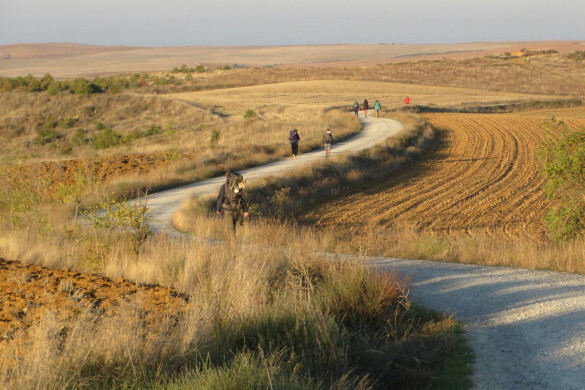 Thoughts of the triangular shaped rock I had brought with me to Spain to lay at Cruz de Ferro on the Camino de Santiago pilgrimage crossed my mind and I smiled to myself as I picked it up…a coincidence. 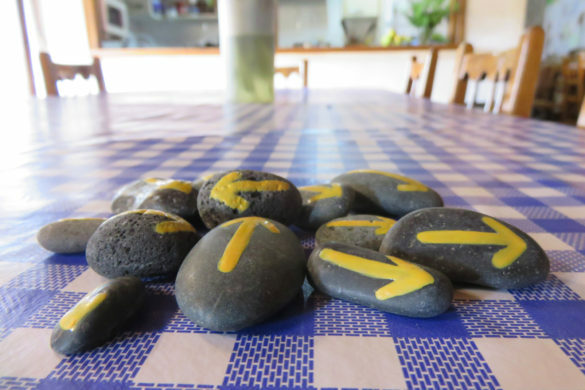 We all handed our rocks to Juan who placed them carefully in the shape of a small pyramid. 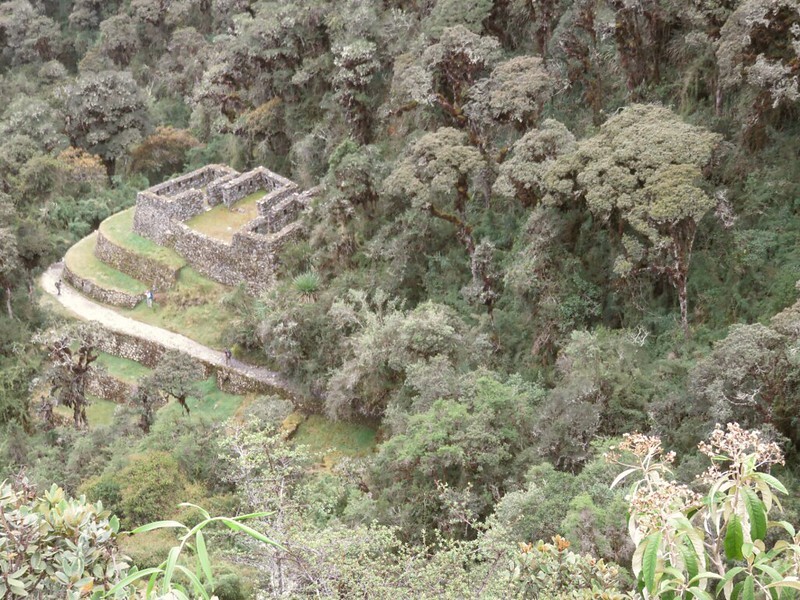 Then he asked Pachamama for our protection, including good weather as we trek the remaining distance to the sun gate. 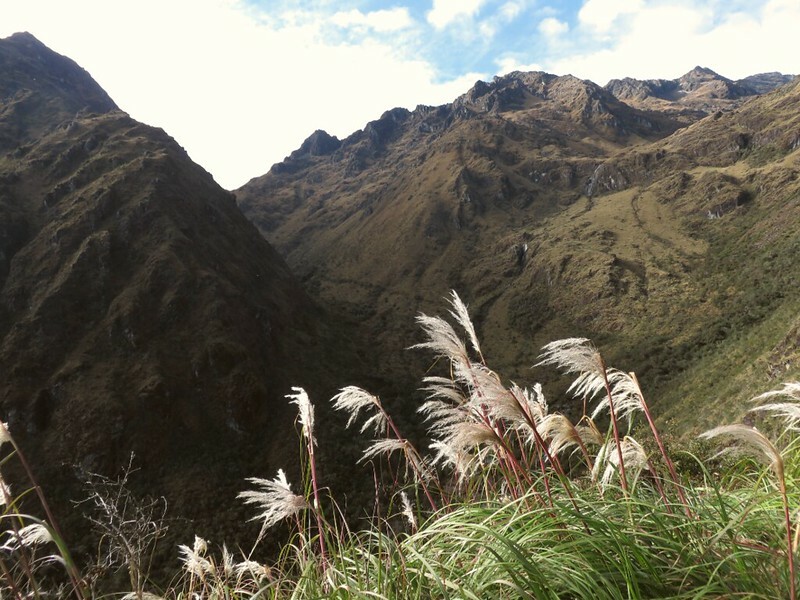 Then he held three coca leaves up before each one of us, asked us to think of something that we wish for in our lives and then blow on the three leaves. 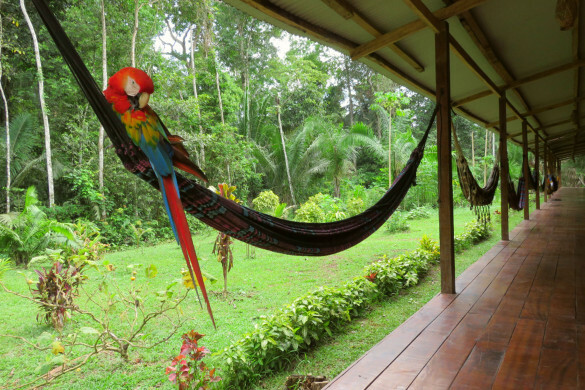 My thoughts turned to why I’m in South America and what I hope to get out of this journey in the end. Some of it is practical for my future, but some of it lies hidden behind a veil of uncertainty. It is a veil that seven months on the road will hopefully lift to reveal clarity. All I know right now is that I need change, to shake things up, to throw the cards in the air so to speak and see where they land in hopes to force the change I am looking for. After each one of us had a chance to make our wish and blow on the leaves, Juan placed the three leaves plus a handful of others on top of the small pyramid. 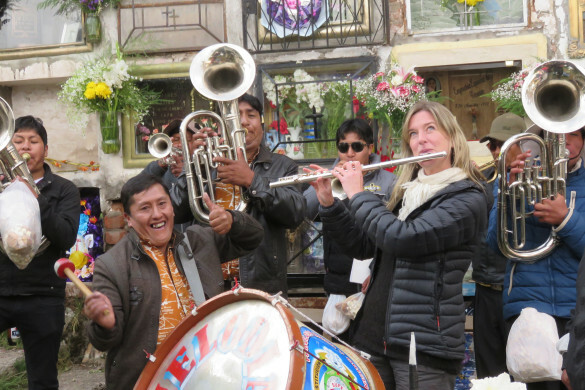 It is interesting to be part of an ancient ceremony like this, but also to see and learn about ancient Incan practices while investigating the ancient ruins. For instance, in many of these ruins you see trapezoid shaped windows. Some are complete openings, but some are not. They are closed off. Why? It is because they had a very special purpose. The windows are approximately three feet tall and narrower at the top than at the bottom. The Incans practiced preservation of their dead or the practice of mummifying bodies. When a person passed, their mummified body would be placed inside the trapezoid window in the fetal position. This was believed to prepare them for birth into the afterlife. The shape of the window, narrower at the top than the bottom, had a purpose too. It pointed the dead towards the heavens. 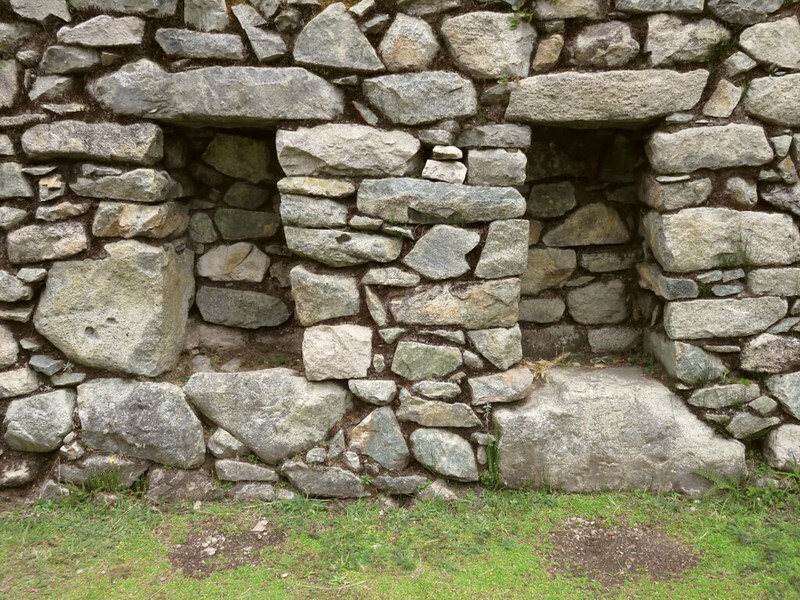 Not only were the Incans strong in their beliefs and ritual practices, but they were also very practical in how they designed their buildings to withstand earthquakes and also how they tapped into natural resources like water. Building stones were not fit together with mortar like they are nowadays. 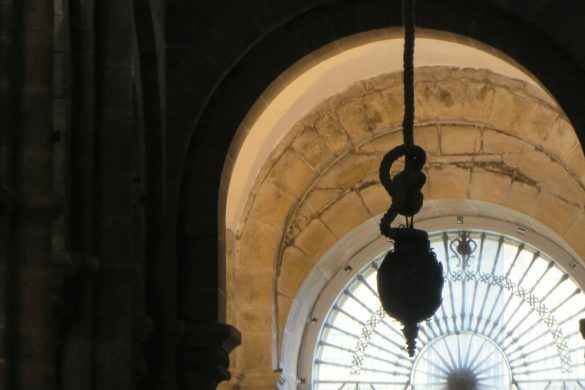 They were placed on top of each other in a way that would lock the stones together, but which would also allow for movement along with the forces of Pachamama as she trembled under the mountain. 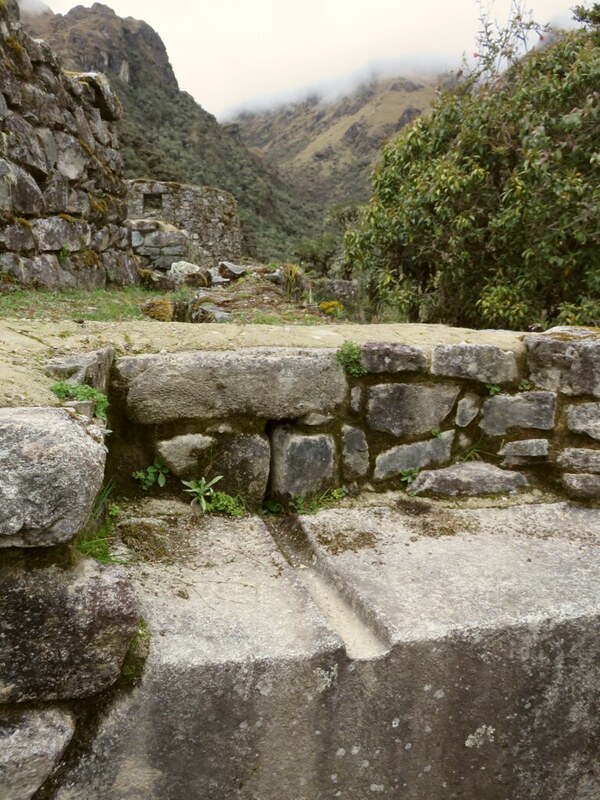 To tap into water the Incans built a stone wall, with a groove along the length of it, leading from the mountain stream to a central fountain in the city. 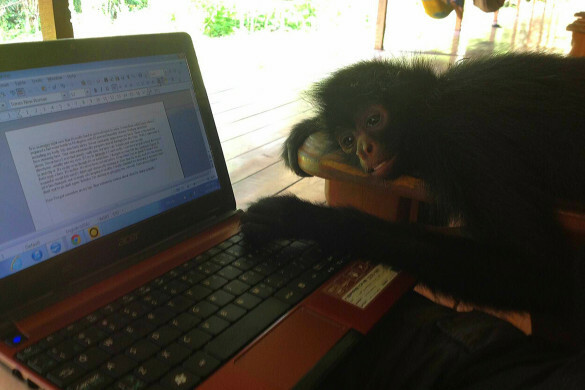 If it wasn’t for Juan I wouldn’t know any of what I have learned on this trip. 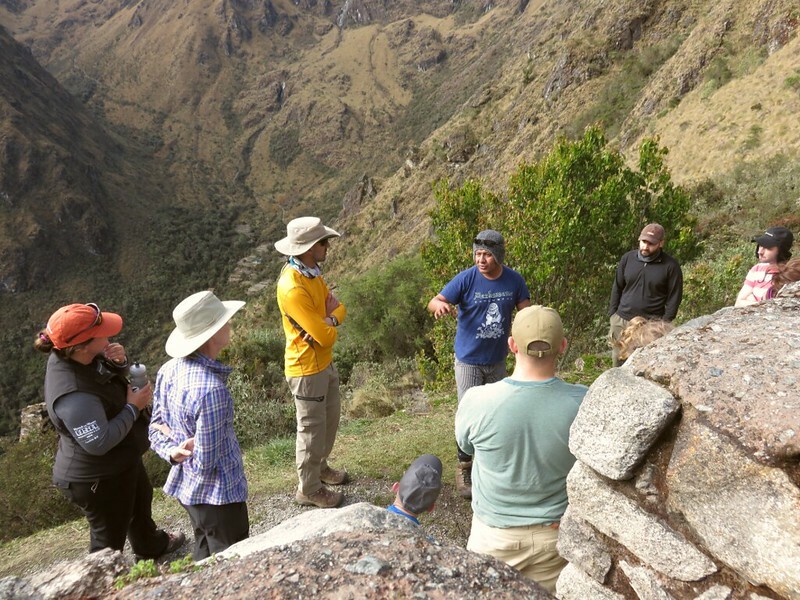 He is very passionate about the Incan traditions and beliefs and describes them to us with such passion and enthusiasm. 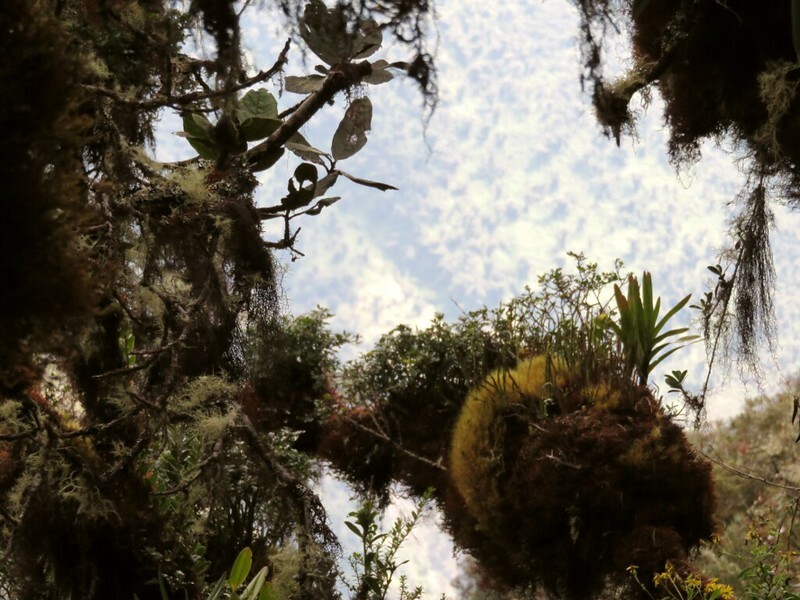 As we continued along on day three, we descended into a subtropical cloud forest. 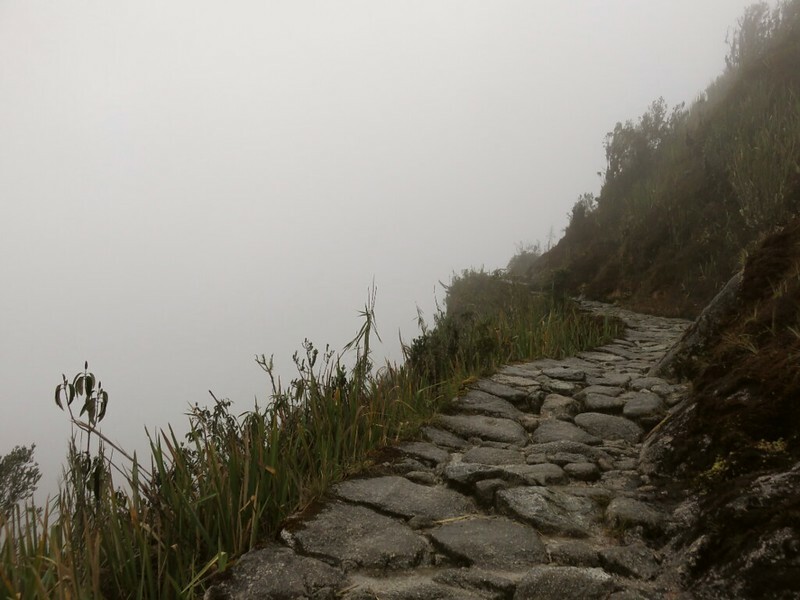 It certainly lived up to its name as clouds clung to the stone trail that meandered along the edge of the steep mountain slope. 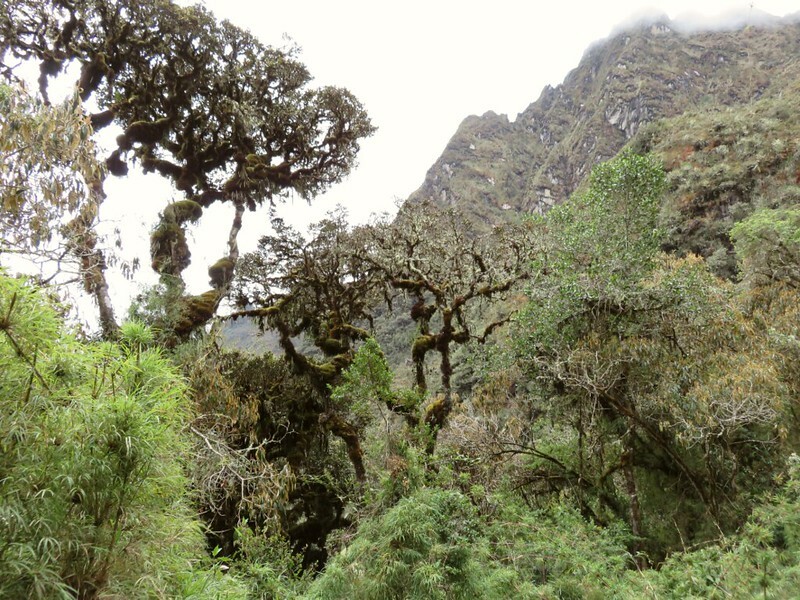 Long, mossy tree trunks and gnarled branches adorned with vines and leafy foliage reached up high revealing a full, lush jungle canopy to the sky. Paul termed these trees gorilla trees. My gullible side quickly learned to laugh and scoff at Paul’s terminology of things, probably like his buddies learned to do a long time ago. However, when Juan told us the story of the spectacled bear on day one, Paul’s buddies turned to him in surprise and exclaimed, “What? It actually exists?” and we all laughed. Regardless of the clinging clouds, sporadic rain showers and bouts of rolling thunder, the day was peaceful and I walked in silence much of the time. Eventually I walked with Walter, who I found out is a salsa dancer. He even performed in Peru last year. Very cool! Salsa is one thing I have been longing to do in Peru, but haven’t yet. If I do it, though, I will need to wear something other than the trekking boots, red sandals or flip-flops I brought along on this journey. Eventually we encountered the long descent to the third camp which revealed some painful challenges more so for others than for me. Some in our group began to suffer knee problems as we descended the longest staircase I have ever encountered…3000 steps. The question popped up from various people, “So, which do you prefer, climbing or descending?” Pete said he couldn’t wait for some more uphill. He was usually the one way up ahead, but I was surprised to pass him briefly in the afternoon as he favoured one knee. His brother, Bill, didn’t seem to be affected at all. 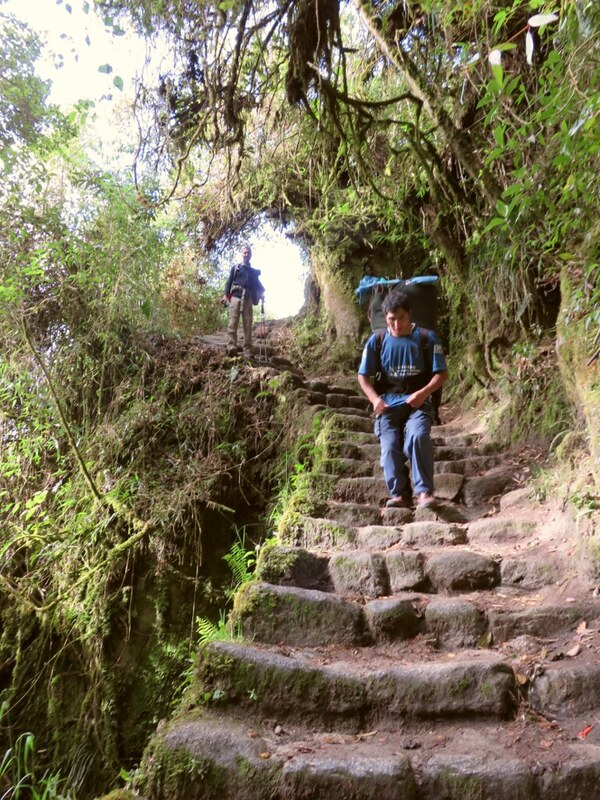 He had his own method of bounding down the steps nearly as quickly as the porters themselves. We joked with him saying that maybe he had found his calling as a porter. I continued to take it slow the rest of the way to our last camp, being careful not to create a knee problem that could come back to haunt me down the road. Even though we were all longing to get to camp so we could rest our weary legs, a few of us decided to take the long detour at the fork in the trail. 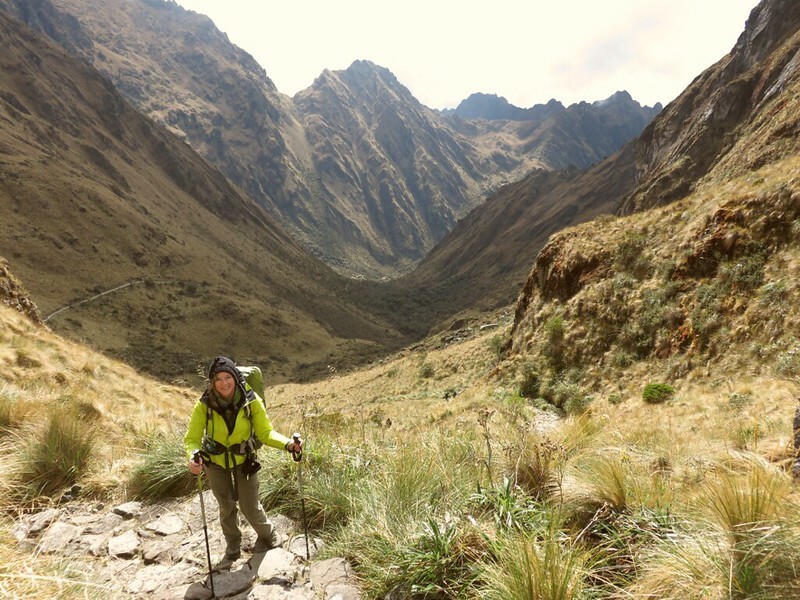 Juan had recommended it because it was a more beautiful route and it sure was, however the heavy rain began after leaving the Incan ruin below. So, as I lay in my tent at 3:00 am, my curiosity led me to quickly unzip the tent to see if the llama was done spitting and if Juan’s prayers to Pachamama were heard. They were. The vast cosmos flickered brilliantly above. Not a cloud could be seen. The energy of everyone’s anticipation was electrifying as we stood in the line at the final check point. A group of women in line behind us blared their tunes and sang loudly. Ryan enthusiastically joined in. A few of us others studied the dark, flickering sky and Pete pointed out to me my birth constellation, Gemini. As the sky grew lighter, the dimmest stars faded away making the constellations more obvious. 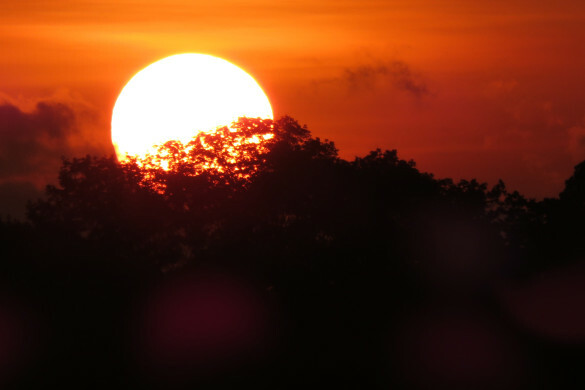 The air became colder the closer the sun crept to the horizon. We stood wrapped up with scarves and toques and then the line began to move. One of the girls shouted, “I can’t believe we’re here, we made it to Machu Picchu!”. Then loud cheers erupted. We still had a hike ahead of us to get to the sun gate, but the excitement couldn’t be contained. We hiked for another hour, climbing the steep, stone steps to the sun gate. Even though I was up so early, the anticipation of what lay ahead had me more awake than I have ever been. I could see the final step up ahead and the sound of awe as trekkers got their first glimpse of what lay beyond the sun gate. I made it, breathless. There it was draped in the shadow of the mountains, the sun slowly revealing its mystery to me as it sat crowning the lush mountain below us. 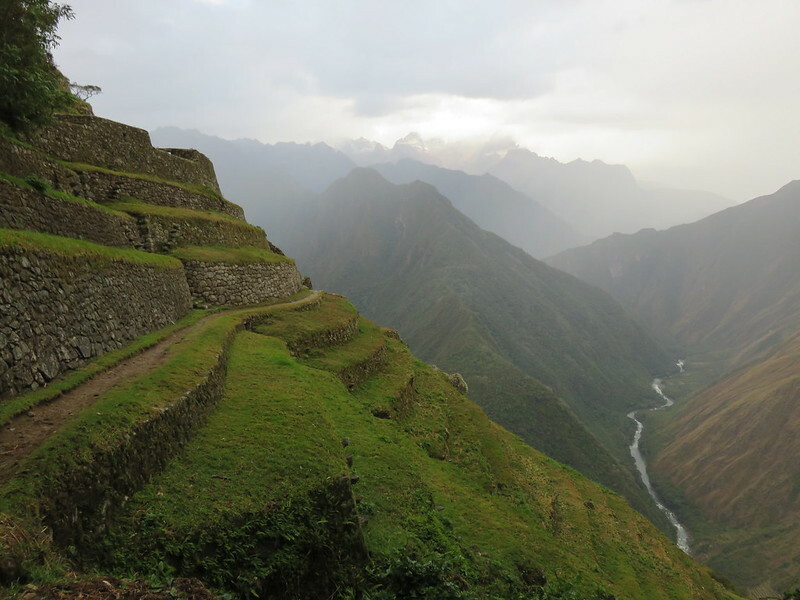 It was magnificent, a sacred place that has been named one of the seven wonders of the world, what is also known as The Lost City of the Incas, Machu Picchu. Wow! 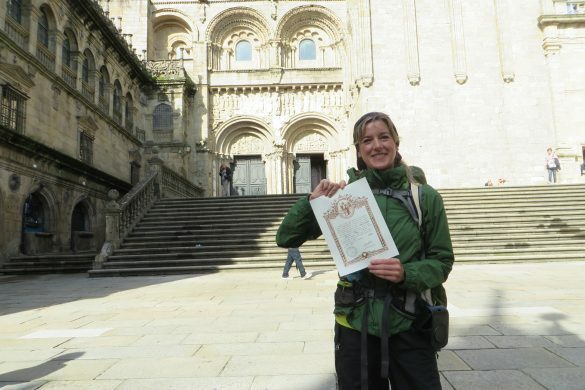 This was another Camino that definitely tested the limits of mind and body, but was undeniably worth all the effort. 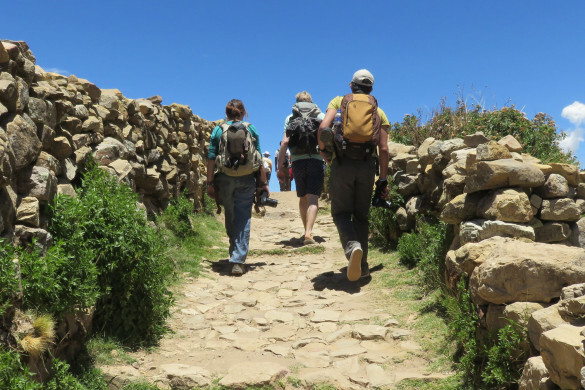 You walked in the same footsteps as the ancient Inca people and learned so many interesting facts about their culture along the way. 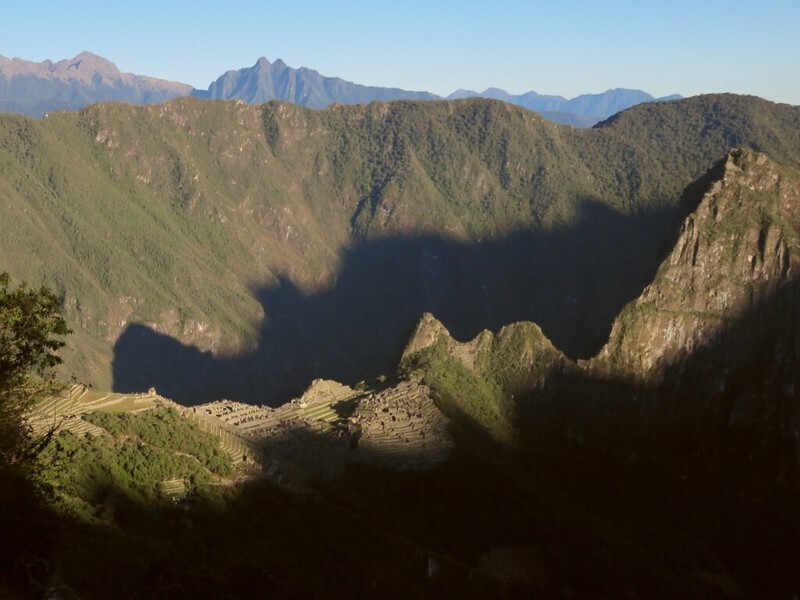 Nothing can compare with your moment of arrival: walking through the Sun Gate and catching your first glimpse of Machu Picchu below as the sun was rising. So amazing! I still have goosebumps! This was so well written and detailed and the photography beautiful. It sure was an amazing moment and it was definitely a challenge…well worth the efforts! 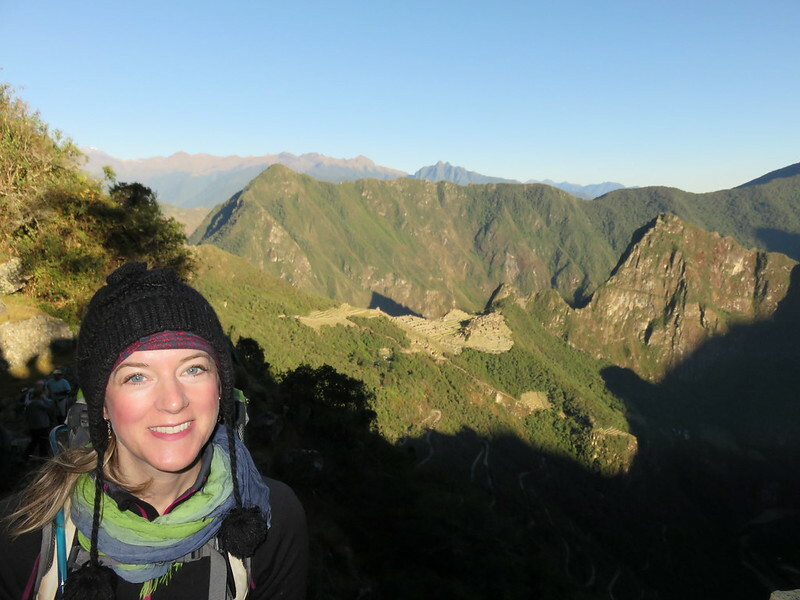 I’m so happy I trekked the Inca trail. The journey, as always, makes getting there so much more meaningful. Thanks Gizella! 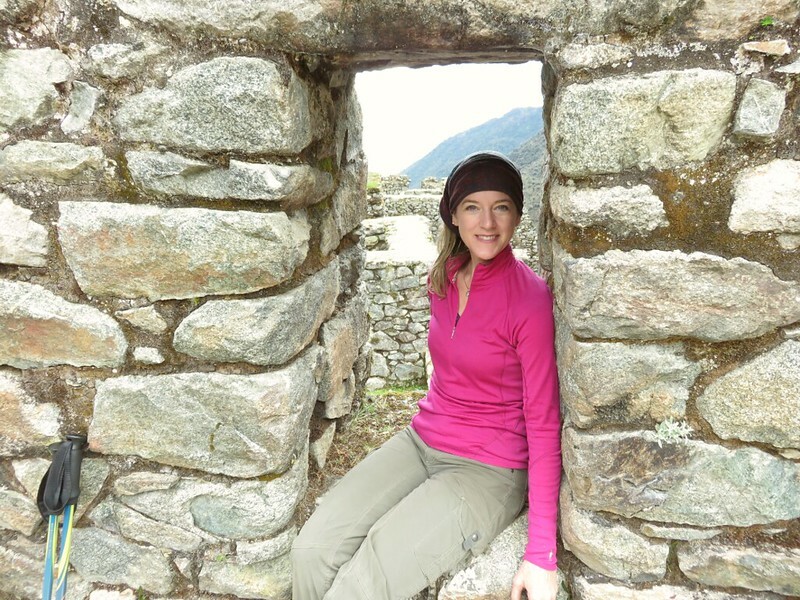 What an amazing experience to go on your own without restrictions and camp in the ruins…so cool! 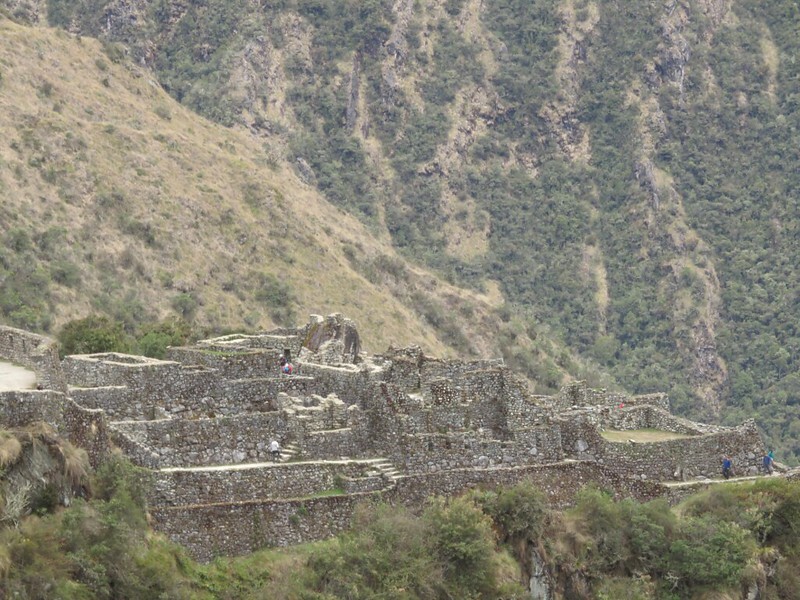 Now the restrictions are set to 500 people per day on the Inca Trail and only 200 of those are trekkers. The rest are porters and guides. I suppose it’s best for the trail and it’s preservation.